There is more information available on this subject at Humanity on the English Wikipedia. "This was our world, our solar system. We were here first. And no matter what the darkness brings, we will be here at the dawn." Humanity is a sapient species native to the planet Earth. The remaining humans are all that survive of a race whose reach once spanned the Solar System, having descended from those who endured the apocalyptic Collapse. Since then, they have fought to restore our toppled civilization to its Golden Age splendor — first by the legendary Iron Lords, and more recently by the Guardians. During the 21st Century, humanity made first contact with the mysterious entity that would later come to be known as the Traveler, the arrival of which ushered in a centuries-long Golden Age that saw humans colonize the newly remade worlds of Sol including Mercury, Venus, Mars, and even the moons of Jupiter and Saturn. But this Golden Age would not last. 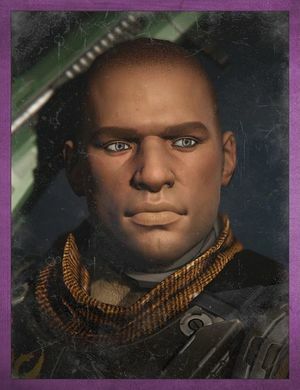 Unbeknownst to humanity, the Traveler had an ancient enemy; a powerful Darkness that precipitated the Collapse and nearly wiped out mankind, if not for the intervention of the Traveler who sacrificed itself to push back the assailing Darkness. And with its dying breath, the Traveler created Ghosts to seek out those worthy to carry on its task. In the dark decades after the Collapse, Humans, Exos, and Awoken found the Traveler where it made its final stand and built the City—the last bastion of mankind—beneath its shadow. And from an age of chaos and death began the City Age. Though its tenuous peace lasted for the better part of a hundred years, the City Age would ultimately come to a shattering end in the wake of the devastating Cabal invasion; with the heroic deeds of The Guardian bringing an end to the Red Legion's siege and marking the dawn of a new Golden Age. Note: to see Guardian subdivisions please refer to Guardian Orders. Note: Given the vast majority of weapons in the game, only weapons from the Golden Age have been included in this list. According to the Destiny intro cinematic, the Golden Age saw human lifespans tripled. Based on current human lifepan statistics, that would suggest humans lived for roughly 237 years on average.